Huntsville, Alabama, July 18, 2016 – Qualis Corporation welcomes Ms. Ondrea Neal as Director of Contracts, responsible for Contract and Subcontract Management, Purchasing, and Pricing. Ms. Neal has more than 30 years’ experience with the Federal Government, including providing acquisition and contracts support to the Missile Defense Agency and the US Army in Huntsville, Alabama. As Director of Contracts for the MDA Targets and Countermeasures Program Office, Ms. Neal was responsible for providing oversight and management of a team of Contracting Professionals responsible for contracting for targets, test assets, and mission support and execution in support of the Missile Defense Ballistic Missile Defense System. Prior to that, Ms. Neal served as MDA Director of Contracts for the THAAD Weapons Program Office and Deputy Director of Contracts for the Ground Missile Defense Joint Program Office. 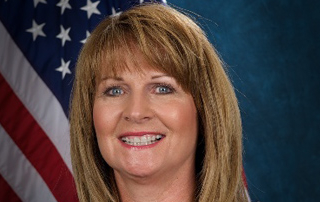 Earlier in her career, Ms. Neal served as Division Chief and Contracts Specialist for the Army Aviation and Missile Command. Qualis Corporation, founded in 1993, is a Woman-Owned Small Business headquartered in Huntsville, Alabama that employs more than 250 people supporting the U.S. Air Force Test Center, Air Force Operational Test & Evaluation Center, Air Force Safety Center, Air Force Nuclear Weapons Center, and Air Force Global Strike Command; U.S. Army Aviation and Missile Life Cycle Management Command, Maneuver Center of Excellence, Space and Missile Defense Command, and TACOM Life Cycle Management Command; Missile Defense Agency; and NASA Marshall Space Flight Center. For more information or for press inquiries, please contact Cathy Shields, Vice President of Business Development, at (256) 971-1707 or cshields@qualis-corp.com.